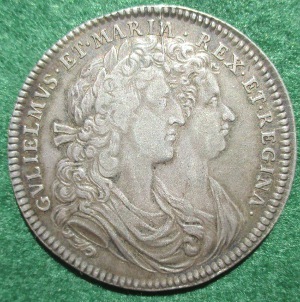 Notes: This is the official issue medal, which was cast out to the spectators at the coronation. The medallist, John Roettier, was the eldest son of an Antwerp goldsmith. 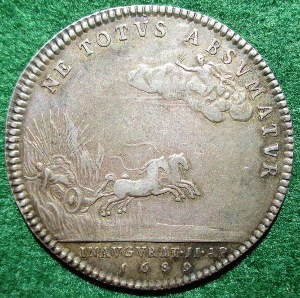 He came to England soon after the Restoration and was appointed one of the engravers at the Mint. He became Chief Engraver on the death of Thomas Rawlins in 1670 and held this office until 1697. His medallic works are among the finest produced in England since the Restoration.